Rock the always glamorous hair color with these 50 ash blonde hair styling ideas. We can’t remember a time when dark ash blonde or light ash blonde wasn’t in style. A hair color coveted by fashionistas and hair stylists worldwide, ash blonde holds the promise of fabulous looks. 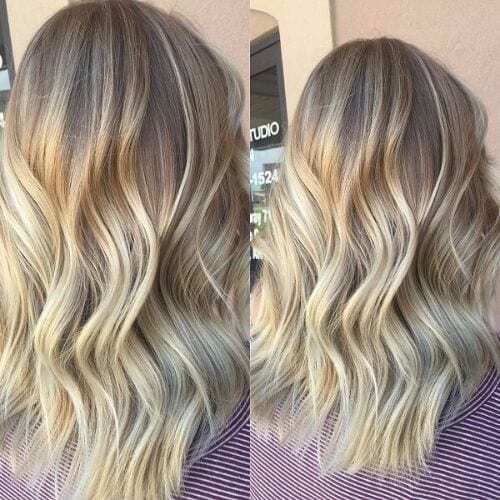 Whether you’re a pixie haircut enthusiast or wear your hair in stunning wavy styles, ash blonde hair is a great option to highlight your natural beauty. Here are our picks for the best ash blonde hairstyles for women and all hair lengths. 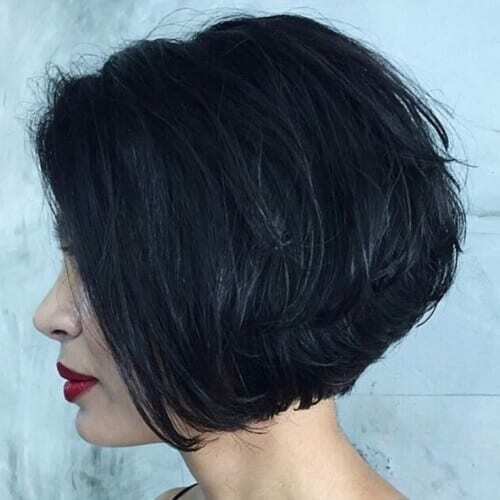 The beauty of this cropped edgy bob is highlighted by the stunning ash blonde hair dye. Rest assured, the almost icy look of this short messy hairstyle is among the hottest and most daring hairstyles. A fringed look with flawless ash blonde hair. 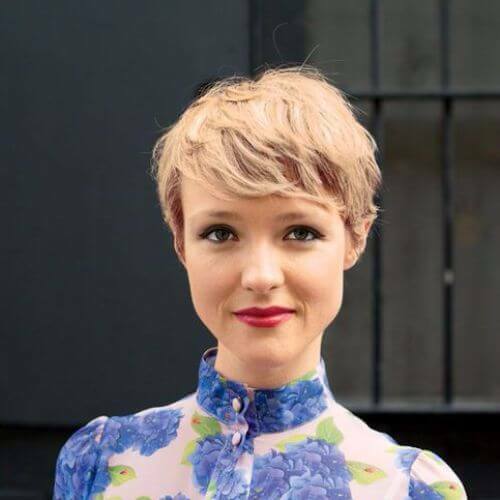 Pixie cuts are youthful and edgy all on their own. 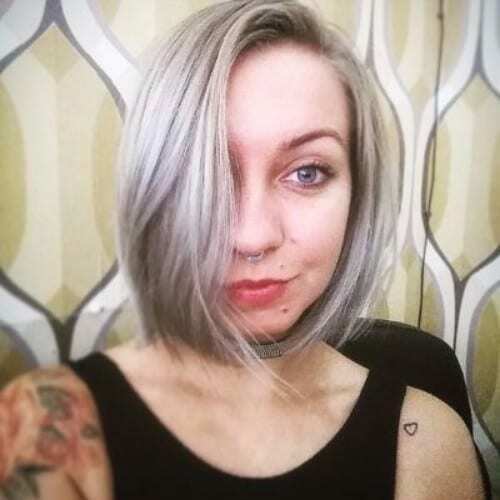 But the almost silver ash blonde hair color adds an extra edgy notch. Easy to style, fabulous to wear, this is the way to go if you’re looking for this summer’s en-vogue hairstyles. 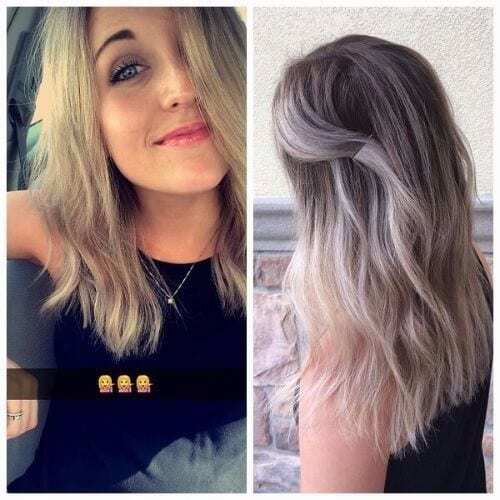 Light ash blonde hair dye for short curly hair? Yes, please. 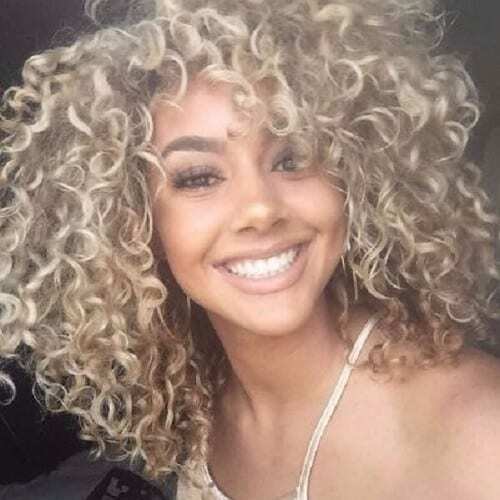 Curly hair already has a reputation for its romantic and playful allure. 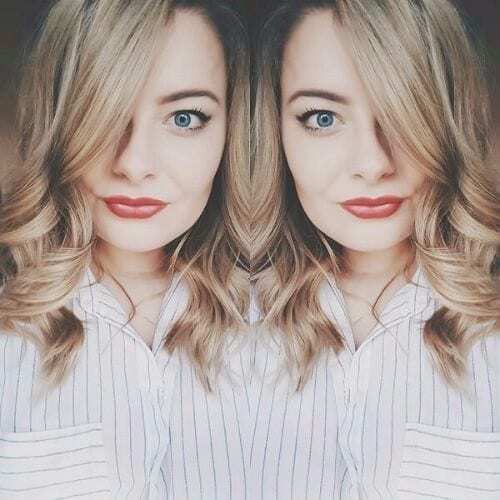 In ash blonde tones it looks absolutely irresistible. We love the dark roots daringly showing with this hairstyle idea. This look has a warm feeling to it and it’s all thanks to the natural blonde tones of the highlights. 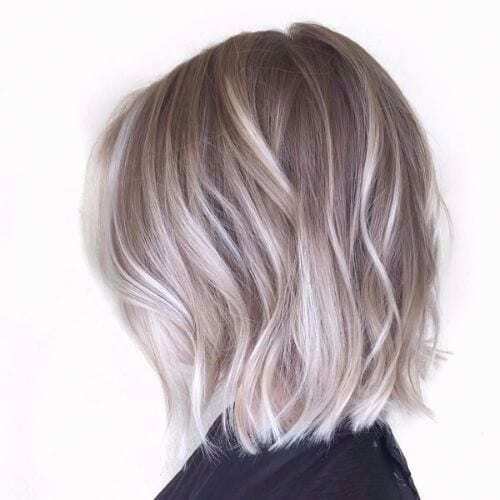 The ash blonde highlights lighten up the bob haircut while the perfect waves look frames all these deliciously warm tones. Taylor Swift rocked this look in classy gala outfits, on the red carpet, in jeans and t-shirts or post-punk outfits. You can do it too. 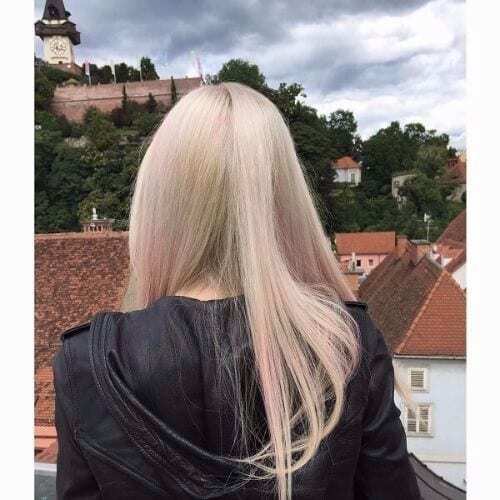 Choose a uniquely gorgeous dark ash blonde hair dye and go crazy. Get this star look this summer because the 70s are back in style. The baby doll look continues to make waves. 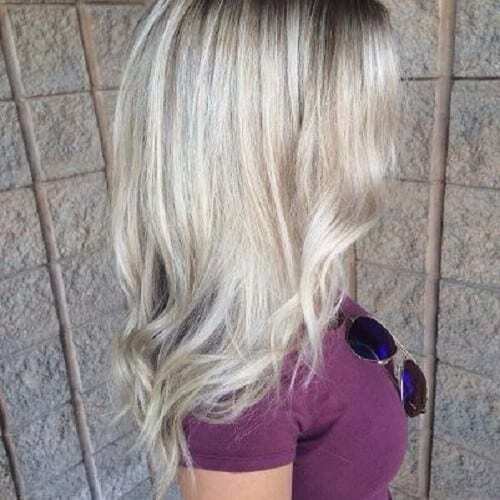 If blonde is your hair color, then take it up a notch with this light ash blonde hair color. Notice how the dark blonde fades into light ash blonde to the tips? 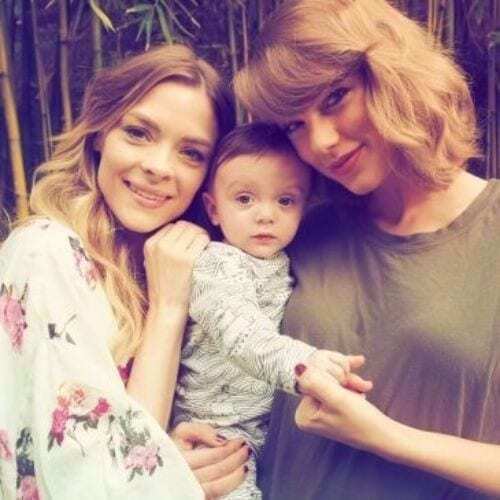 That’s what you’re after for the perfect baby blonde hues. 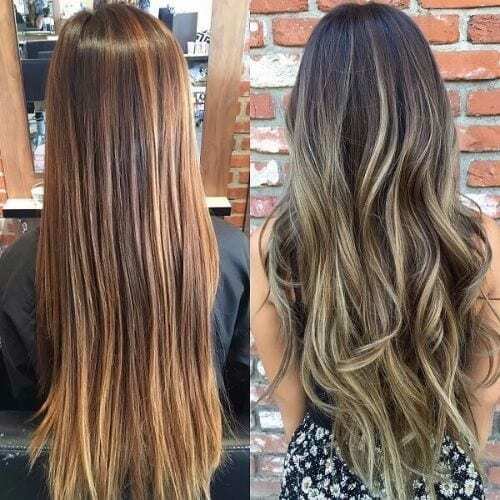 If you have long wavy locks, one of the best ways to highlight them is by adding a contrasting color. For darker hair colors, ash blonde highlights and tips are ideal to bring out the natural beauty of your dreamy wavy hair. 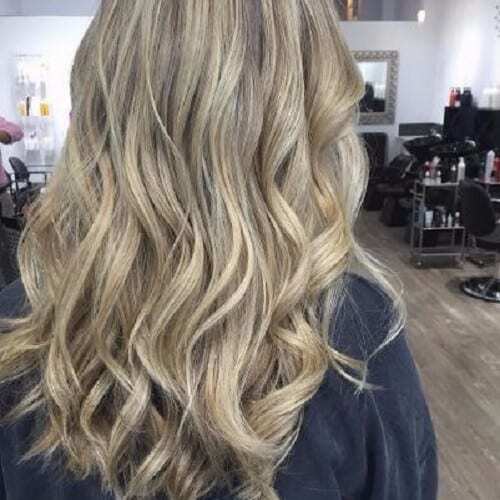 The balayage technique has recently taken front stage for achieving beautiful natural looks. 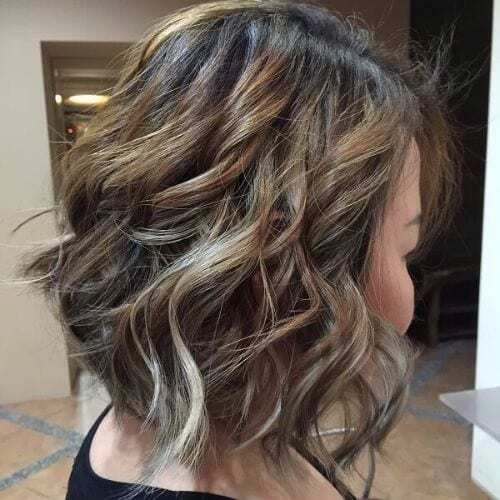 This creamy hair color is based on a natural mix of light brown and dark ash blonde hair color. It’s ideal to counter the sunburned look that summer brings along. 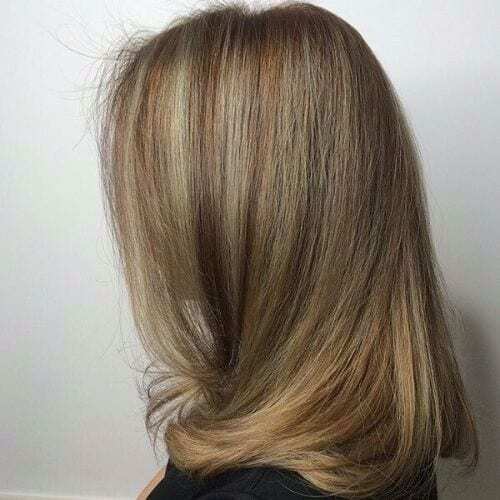 We simply love the way the color fades from the natural light brown of the roots to the delightful tones of ash blonde hair. 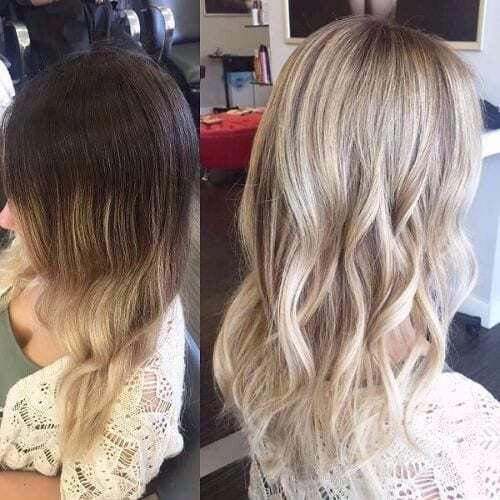 It’s this perfectly natural look with a daring edge that got the ombre technique good rap and applying it to ash blonde hair adds extra points. Flaunting your dark roots is no longer a fashion faux-pas. 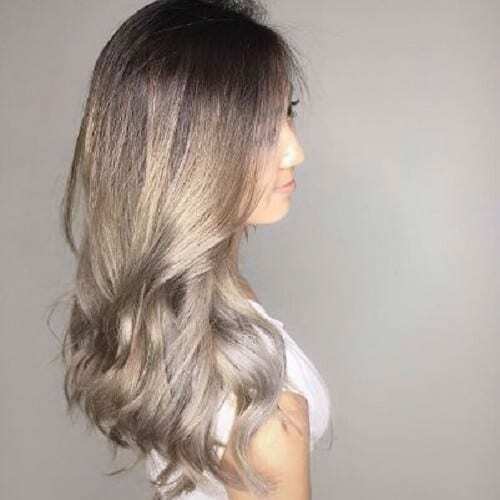 Especially when the naturally dark roots are outgrown and complemented by beautiful light to medium ash blonde hair color applied middle-length to the tips. 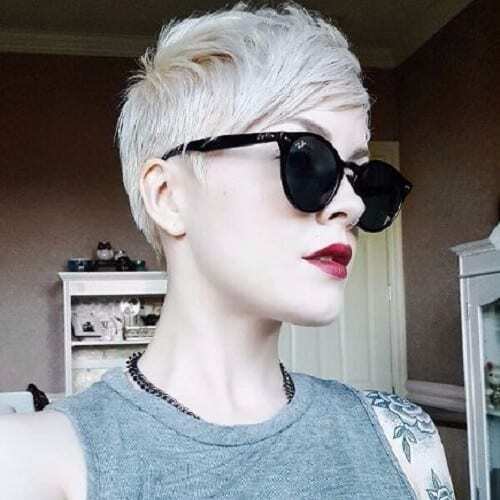 Edgy, daring and attractive ash blonde hair style! This right here is a summer’s goal. The ultra-light ash blonde tips and the barely noticeable blonde highlights add a playful summer note to otherwise beautiful long dark hair. 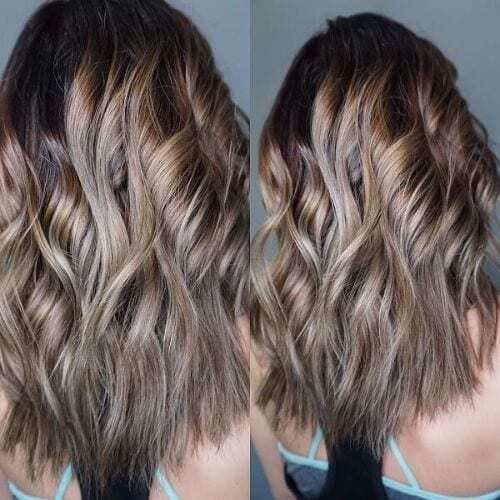 Chunky chocolate or brown highlights mix with delightful blonde tones and the ash blonde ombre just adds an extraordinary luminosity to this style. 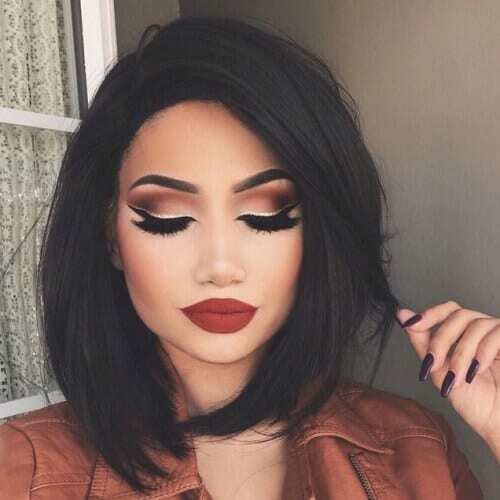 It’s definitely a style to try when you’re in dire need of a dramatic look change. 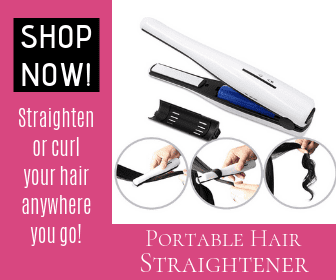 This style goes perfectly for both wavy hair and silky smooth straight hair. The rich nuances highlight each other exquisitely. The secret to this hair style? 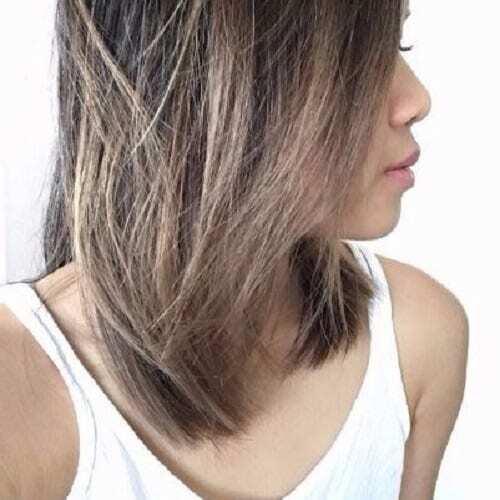 The mixture of natural ash blonde hair, the blonde base, and blonde highlights. 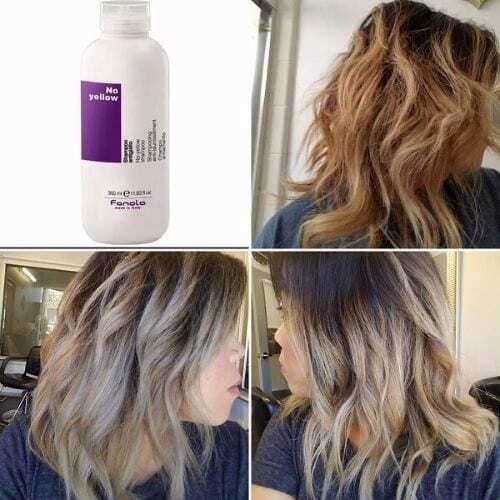 A stunning ombre is always done on impressive hair lengths. This style shows you exactly why. The natural blend of colors ranging from brown to golden blonde ash hair color to platinum ash blonde hair. 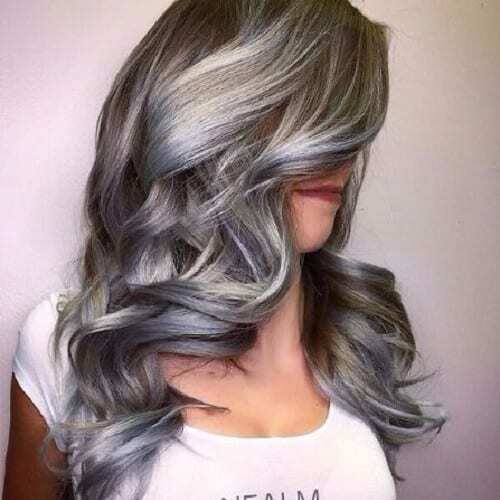 The almost silver nuances lighten up the style and add extra shine to the hair. Achieving this dramatic look is a master level skill. 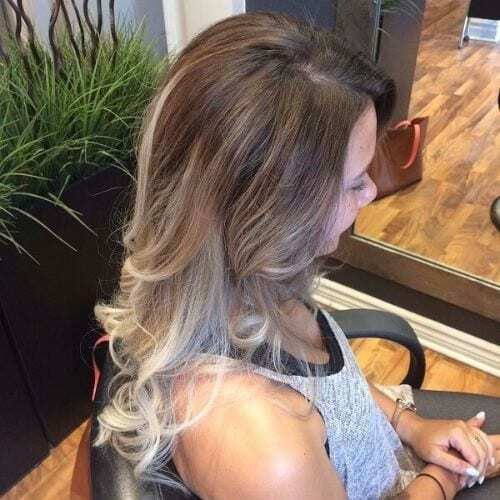 The gorgeous ombre is done flawlessly. 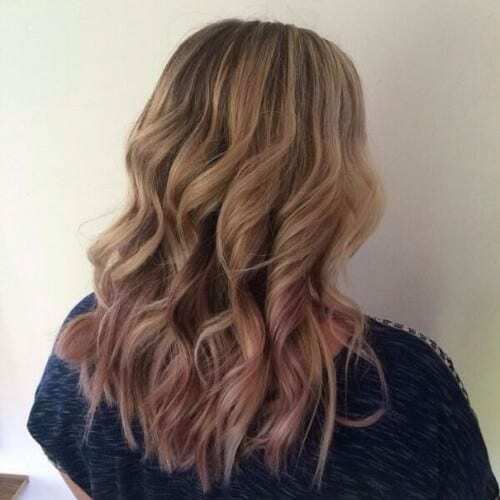 Wear your hair in perfectly defined curls and bring out the color gradient. Or wear your hair silky smooth and straight and have everyone’s attention. 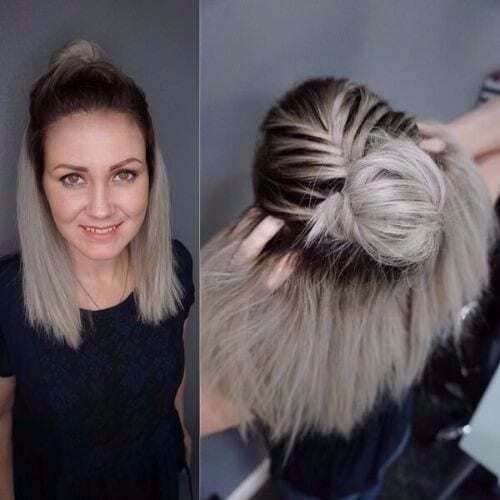 This ash blonde hair style is eye-catching and worthy of attention. Not everyone can pull it off, but if you’re one to dare when it comes to dramatic look changes, go for it. The highlights are well-defined while the dark base is clearly visible. Were you always a fan of chrome silver? The good news is that you can try it out just on the tips of your hair or start with mid-length. 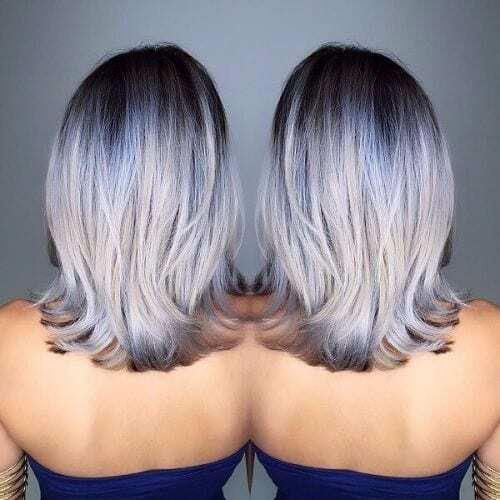 Take this gorgeous photo of black to silver ash blonde hair as an example and let it inspire you. Ash blonde hues added to sweet brown hair to the point of almost complete coverage isn’t a bad idea at all. If you wear your hair in bouncy waves you know how to emphasize the fabulous texture of your hair and the hues of your hair color. Another match made in heaven for those of you looking to soften the sober dark brown color of your hair. Ask your hairstylist for medium ash blonde highlights and enjoy the stylish look. Too often light brown or golden blonde turn to dreaded orange hues. But light ash blonde hair can save you the painstaking hours spent with your hairstylist while trying to reduce the orange hues. Ash blonde hair looks absolutely romantic, summery and playful even if it’s not highlighted or enhanced by lowlights. This almost gray looking ash blonde hair dye is this summer’s darling. 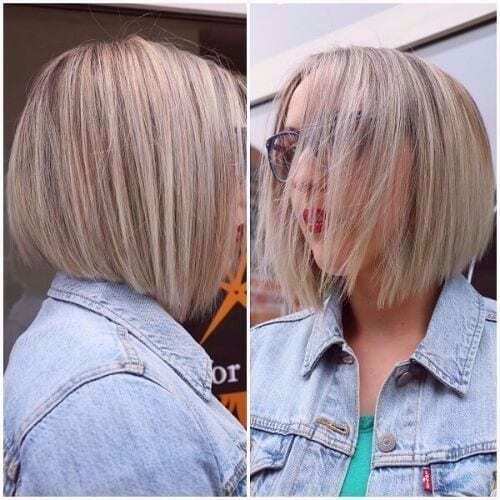 Casual and daring, this is one of the best ways to style your short ash blonde bob. The light ash blonde hue makes this cut an edgy statement. Pink, purple, violet. Playful highlights fit for teens but not only. Women’s styles with an ash blonde base is beautifully complemented by these light-enhancing colors. There is no better way to boost the hues of dark hair than to complement it with blonde hues. 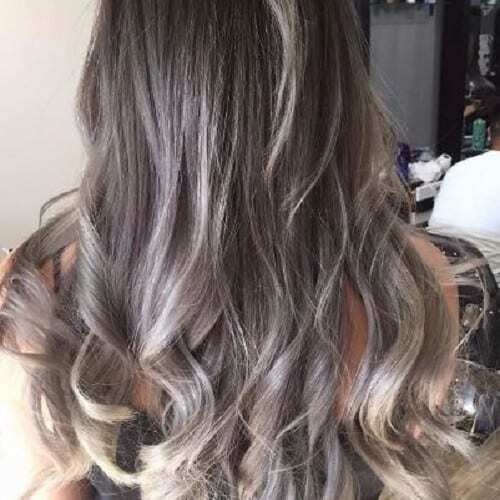 Ash blonde tips on naturally dark hair look dramatic. Yet the transition is nothing short of eye-catching. As a women’s hairstyle, ombre is still in the top of preferences. Give it a try, whether you’re looking for a more sutble or more dramatic look change. Remember how Friends character Rachel became famous for the layered cut highlighted by natural ash blonde hair? This look is pinned in the hall of fame for its beauty, natural take and the millions of compliments it attracts. 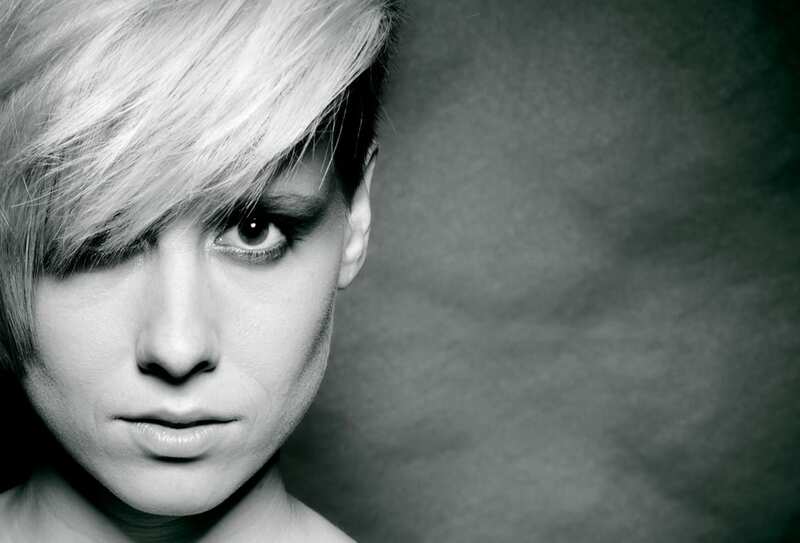 A pixie cut with an ultra-modern twist: the undercut. Ash blonde hair in silvery tones complemented by the strong violet color of the undercut is your way of embracing the edgy side. Sun-kissed hair never looked better. 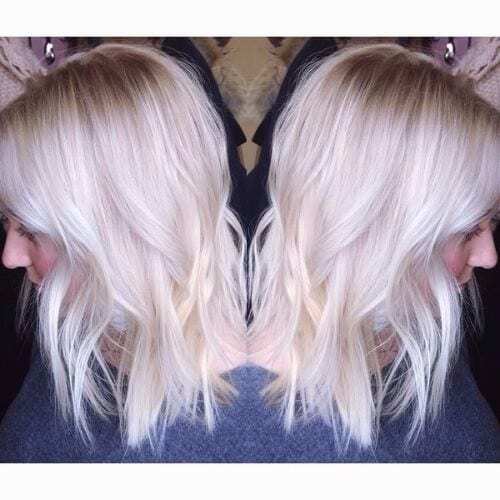 This ash blonde hair in light hues is ideal for soaking up the sun this summer. It’s the sheer embodiment of summer romance and evenings spent on the beach. There are several ash blonde hues and they look great when they’re skillfully combined. The ash blonde highlights and ash blonde lowlights complement each other perfectly in this fringed cut. A half updo with an ultrachic look. The dark roots aren’t purposely left undyed. Nonetheless, they turn the spotlight on the perfectly executed ash blonde ombre. This style for women uses an under color – dark in this case – to achieve this eye-catching style. 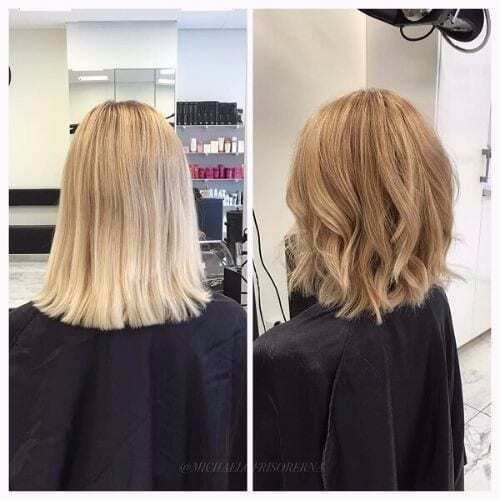 Notice how the balayage technique made it possible to blend medium ash blonde, light ash blonde and soft brown and chestnut hues in natural transitions? 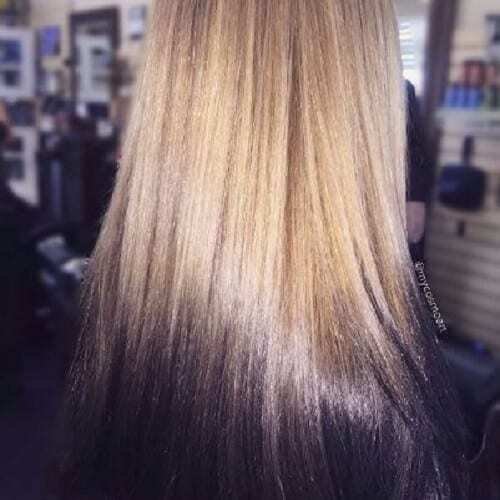 These skillful play of hues is highlighted on the silky smooth rich hair. 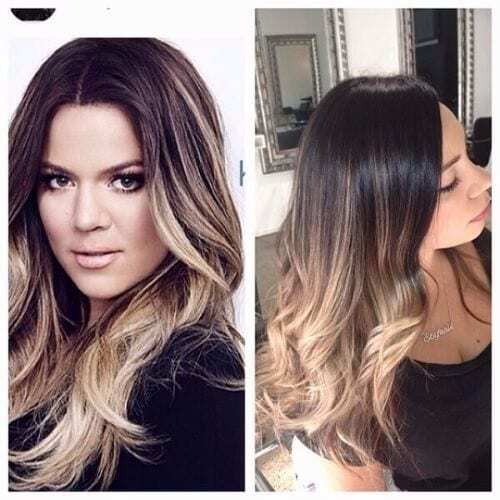 You need a serious dose of courage to ease into the idea of ash blonde ombre starting from entirely dark hair. Yet this woman proves it’s possible to get fantastic results. Have faith! 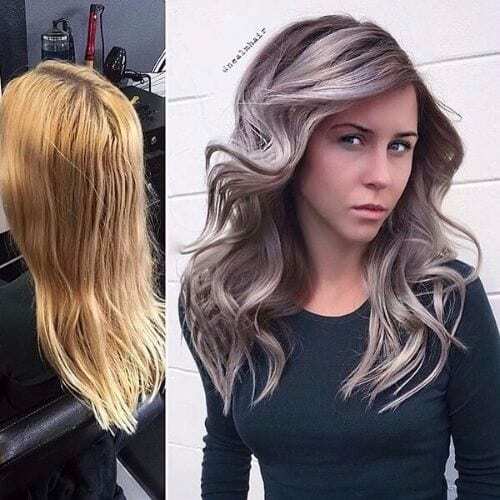 The transition from dark roots to the light ash blonde tips is stunning. 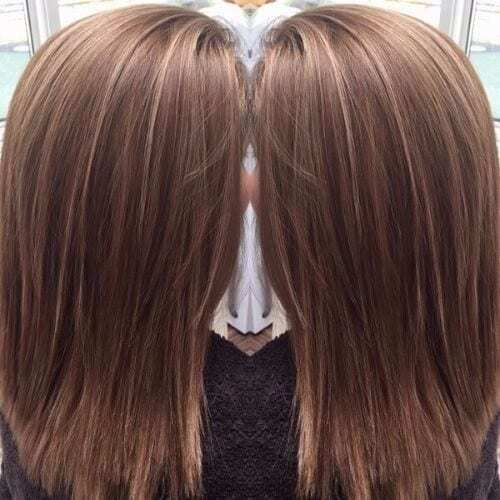 Medium, light, dark and dirty ash blonde meet to create this stunning balayage. 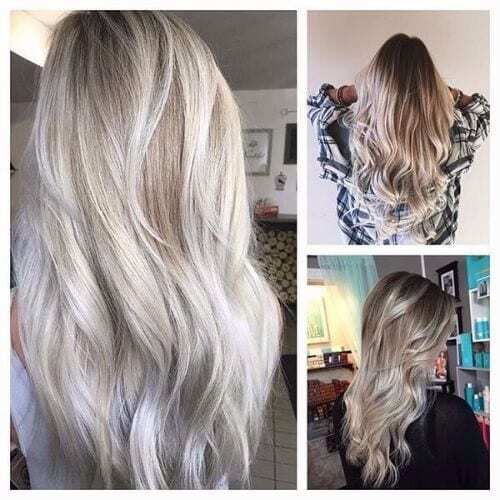 The naturally wavy locks look so healthy thanks to the light ash blonde hues while the rocking messy look is enhanced by the dirty, dark ash blonde. Fairy dust just caught in these beautiful ash blonde locks. 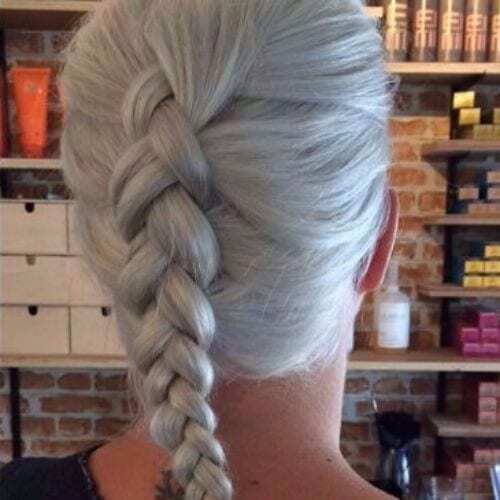 The platinum ash blonde hair complements the fair skin and lightens the features. Ash blonde highlights have the power to give a stylish boost to brown hair. This dark honey look right here is nothing short of delicious. This hairstyle can be either formal or, styled right and with just a few hair accessories, casual and bright. The perfectly defined curls give the ash blonde hair a boost. Silver ash blonde or platinum ash blonde isn’t a good fit for every skin tone. However, if you’re among the lucky ones who can do experiment with this ash blonde hues, go ahead. 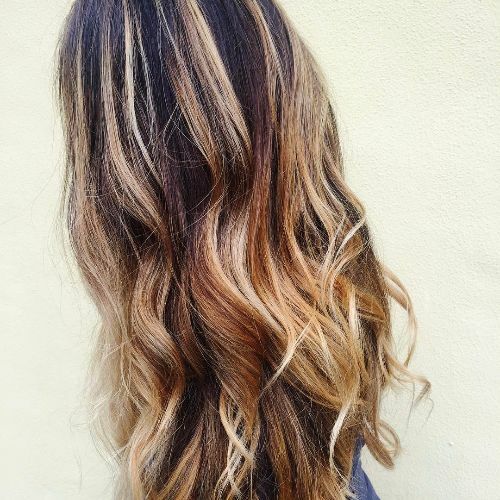 Take it up a notch with ombre or balayage. It’s quite close to the ice queen look, but the medium ash blonde hues in this balayage confer the look a sweet honey tone. Notice the naturally beautiful transitions from golden ash blonde hair color to the nearly white of some highlights. 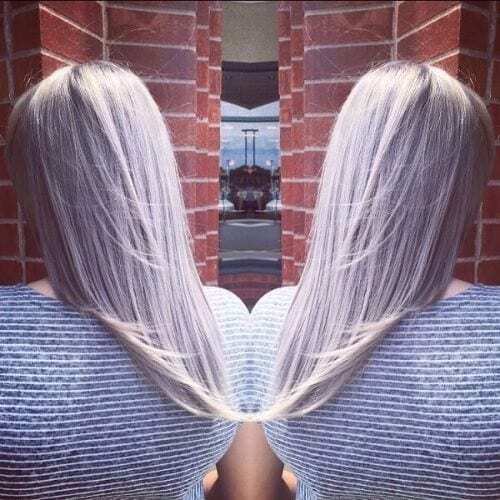 The richness and health of her hair are the perfect bases for this silvery ash blonde style. Stunning look! 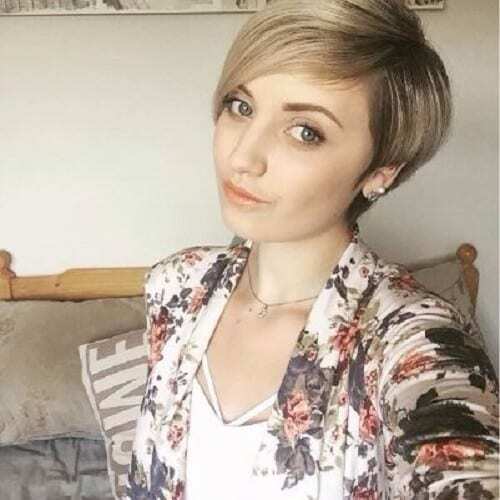 A short cut highlighted by the charming blonde tones. Fringes and well-defined tips work wonders when it comes to easy styling. 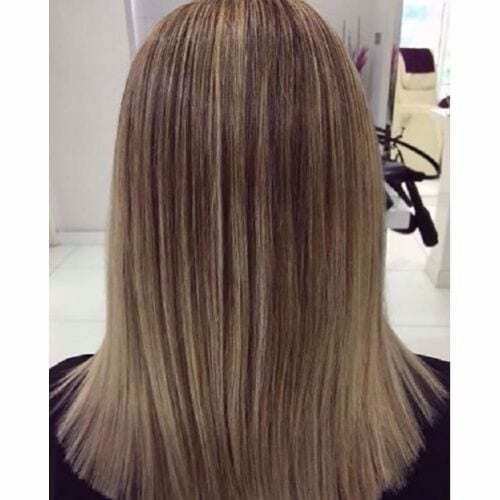 A uniform hair color like ash blonde shines in all its splendor when applied to beautiful stylish long hair. This is one dazzling example. This look entered the scene a few years ago. The audacious transition from light ash blonde roots to pitch-black tips made it stick around for a while. 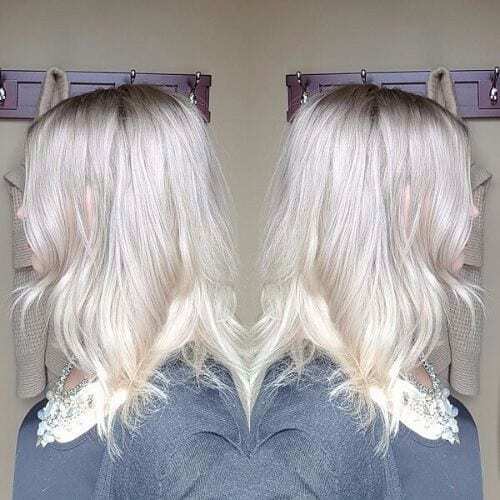 From the medium ash blonde hue of the roots to the light hues of the tips, this is a romantic reinvented baby doll look perfect to wear during your beach vacation this summer. Some may find blonde highlights on red hair a tad tacky. Rest assured they’re anything but tacky. This gorgeous example is here to prove it. 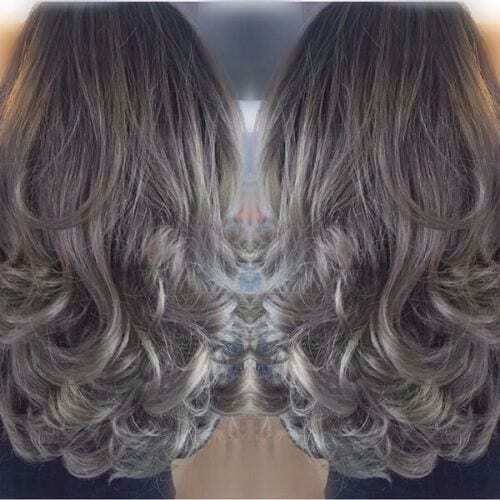 These perfect wavy locks are the ideal base to experiment with light ash blonde. 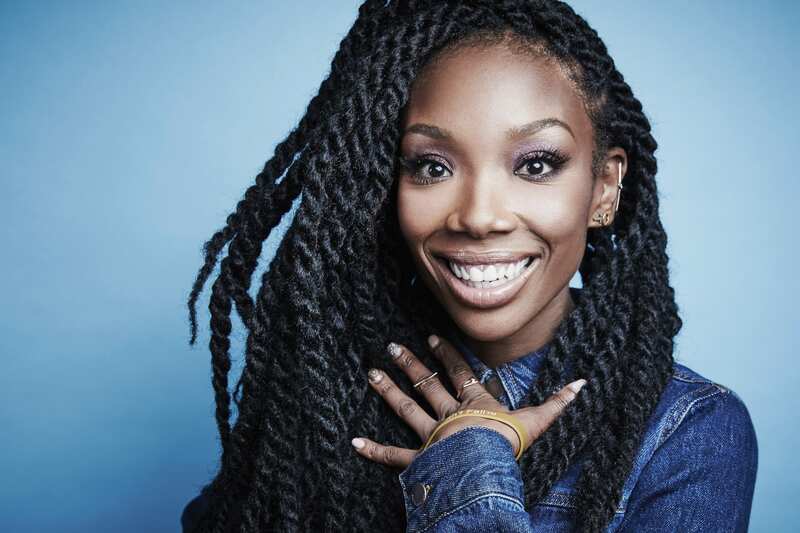 The look is eye-catching and complements darker complexions too. This messy and seemingly careless hairstyle wouldn’t have worked out as well hadn’t it been for the lowlights to enhance the ash blonde hues. Not as dramatic as the reversed ombre before, but still exquisite. The edge is softened by the gentle curls. The blend of light ash blonde hues is simply dazzling. It looks natural, healthy and has a beautiful luminosity. 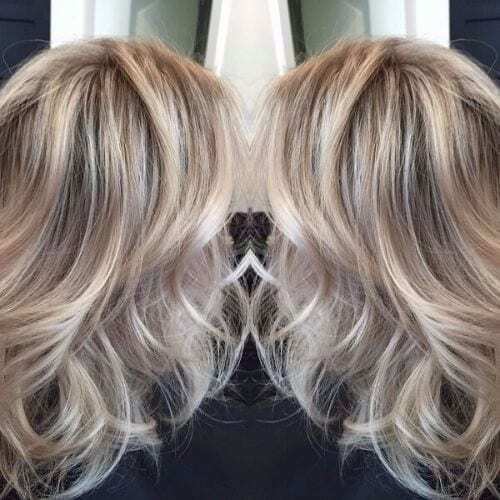 Goldilocks or Rapunzel would be jealous of this healthy hair in such an alluring tone of ash blonde. It’s not just the hat and the warm clothing that gives her away. The ash blonde hair reflects the winter light beautifully. 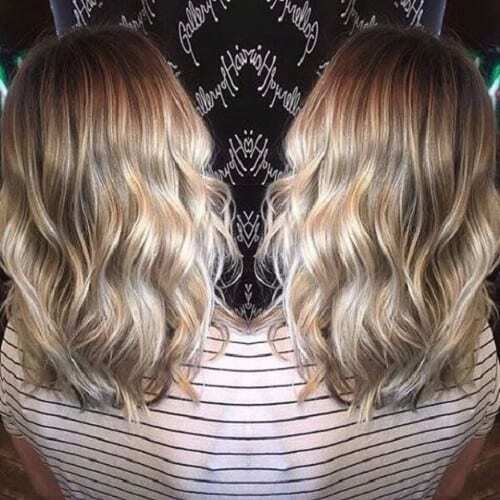 The medium ash blonde hues in this balayage are the most prominent and for a good reason. 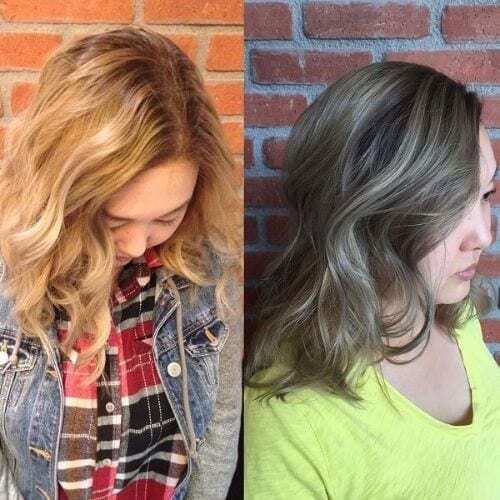 The transition from the dark Asian hair to Asian ash blonde is ideally achieved with such tones while light ash blonde hues serve to highlight the final result. 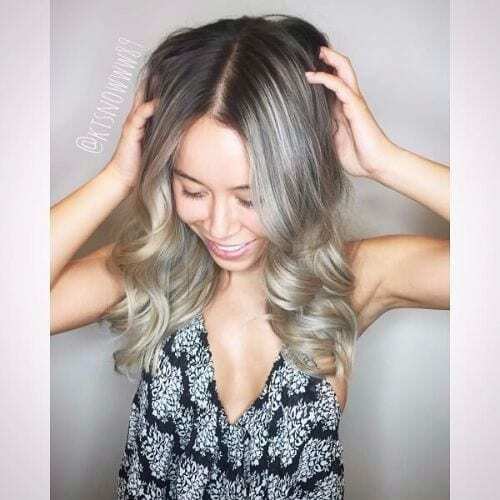 Ash blonde hair has many hues, tones, and overtones. The wealth of hues offers you the perfect opportunity to try on a new hair color. Surprise yourself and others with ash blonde hair.